This week, the Secretary of State launched a new vision for better digital health tools in the NHS. If you’ve ever been frustrated by terrible NHS IT - or wanted to help fix it - you'll be surprised. This is a fabulous and very, very nerdy document: I know no higher praise than that. It sets out the need for staff with data and tech skills in the NHS workforce and how we can get them. It sets out - in detail, with appendices - the need for open standards and interoperability between systems. It explains why this matters, not just in technical terms, but also from a human and economic perspective. Because we will only get rapid innovation for new tech tools in the NHS when vendors realise they are part of a rich, competitive ecosystem, where competitors can step in and replace modules with newer, better options. And we will only get good services for patients and clinicians when data can flow without friction - and securely - between systems. It also notes the need for evidence, with good reason. New phones are better than old phones, but new medical interventions are often no better than the ones we had before. This is an opportunity: the productivity gains from computers and data can be harnessed, not just to produce new tools at scale, but also to rapidly assess their impact. There is so much more, and I strongly encourage you to read it. This is a great document - it’s already driving enthusiasm and applause among doctors and more. But now it’s over to you. This document is being published as a first bite: a provocation to clear, collective thought and an invitation to feed back. The more technical the better. Government policy and process can often feel impenetrable. With that in mind, here are some things I’ve picked up, after spending some time around Whitehall as a doctor and academic. Firstly, people in Whitehall do notice what is being written, by those of us who are outside the bubble. That’s not a promise that the mid-point of all opinions can be calculated using simple trigonometry. But the things that we all write on blogs or in formal submissions get read, and they help to shape a collective view. New points are picked up and passed on in conversations. They creep into documents. Positive support is noted and shapes the tone of discussion. Ideas have a chance of being picked up. Good examples are co-opted to make a case. Single horror stories are arbitrarily picked up by senior folk muttering: “Martin, can you find out exactly what went wrong here please?” The people who shape choices will see what you write. Secondly, it’s worth thinking about what governments can actually do. If you’re able, describe the steps they can take to make the world as you wish it. Want vendors to do something? Describe the market forces, spend controls, or standard contracts that could achieve it. Want a workforce with specific characteristics? Describe the training programme, accreditation, apprenticeships or career pathways and which organisations or people could best deliver them. Lastly, there are good and bad times to raise specific issues. Right now, we have a Secretary of State with a detailed focus on software, data and the change it can bring. This is very good news, but it means you need to act now. There’s a trolley, trundling through Whitehall and the NHS, with 'Make NHS IT Better' written on the side. If you throw your thoughts into that trolley, right now, they will join all the other ideas, problems and plans. They’ll all get looked at and cooked with. If you’ve tried before, try again because if you wait too long, it might be too late. It’s like buying glacé cherries: they’re great for Christmas pudding, but in June there’s nowhere in the cupboard to keep them. That 600-word piece you’ve been meaning to write for years? Write it. 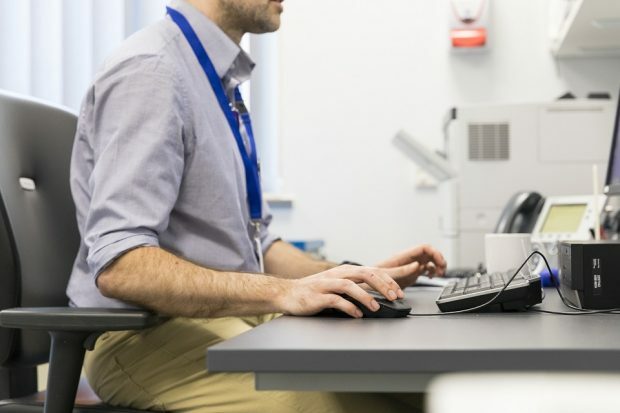 Whether it’s on how to make pathology data more open and useful, a tool you’d love to have as a clinician or patient, a barrier you’ve hit as a developer, something you love or hate in the vision document or anything in the space. Act now. The people who contributed to this vision document are the people who help to run the NHS. They want the NHS to be great, and they will be swayed by your responses - to some degree, with the usual caveats, in the fullness of time - but they can be swayed, and they want to hear good ideas. There is a minister and team who are ready and keen to engage with eye-watering detail and apply pressure for change. The time is now. So please: read this magnificent new vision and talk back. 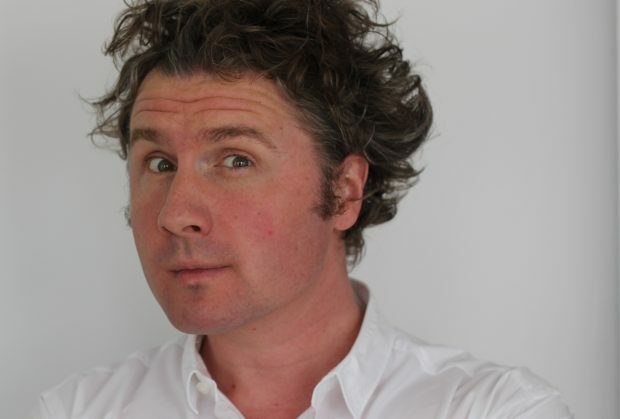 Dr Ben Goldacre is a clinician, academic and chair of the Healthtech Advisory Board. I think we need an App (on mobiles or PCs) that will act as a ‘patint’s friend’ by asking simple but perceptive questions (verbally) on behalf of patients during a consultation and digitally recording the (verbal) answers [https://www.bmj.com/content/358/bmj.j3988]. The answers can then be organised into an ‘up to the minute’ evidence based past medical history to ensure coordinated care. This approach is taught in the Oxford Handbook of Clinical Diagnosis [http://oxfordmedicine.com/view/10.1093/med/9780199679867.001.0001/med-9780199679867-chapter-1] but I think that most doctors and patients need help in order to implement it. This and some other clinical innovations are outlined in my blog in the Royal College of Physicians ‘Our Future Health’ website [https://www.rcplondon.ac.uk/news/ai-and-healthcare-gathering-and-interpreting-data-future]. You have my very best wishes for this endeavour. Hi Ben, I agree the policy paper was excellent and just nerdy enough to keep me reading to the end. It mentions a 'HealthTech Catapult' which, afaik, doesn't exist but I've been told 100s of times that it is needed. If you read this, please can you let me know if it is a policy slip, or a mistake?